Pimcore provides free and open source enterprise content management system. It is written in PHP and uses MySQL to store its database. 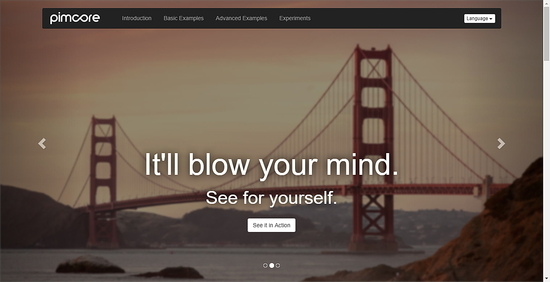 Pimcore CMS is fully flexible and editable, you can personalize the site the way you want. Apart from all these, it has many enterprise class features which make it capable of supplying the demand of enterprise grade website. In this tutorial, we will install Pimcore CMS on CentOS 7 server. Once you have your system updated, you can proceed to install the Nginx web server. Now start Nginx web server and enable it to start at boot time using the following command. Pimcore supports all the version of PHP greater than 5.6. But in this tutorial, we will install PHP 7.1. Installing the latest version of PHP will ensure the maximum security and performance of the application. The default YUM repository of CentOS does not have PHP 7.1 included, hence you will need to add the Webtatic repository in your system. Now you will need to configure few configurations in PHP. Open the PHP configuration file, php.ini using your favourite text editor. Change the value from 8M to 100M. Save the file and exit from the editor. Uncomment the above lines and change nobody to nginx. Comment out the above line and add the following line below it. The above command will login to MySQL shell of the root user, it will prompt for the password of the root user. Provide the password to login. Now run the following query to create a new database for your Pimcore installation. The above query will create a new database named pimcore_data. Make sure that you use semicolon at the end of each query as the query always ends with a semicolon. To create a new database user, run the following query. Now provide the all the privileges to your database user over the database you have created. Run the following command. Pimcore required additional server packages which are used to perform certain operations using Pimcore CMS. Few of the dependencies are only available in RPMFusion repository. Install RPM Fusion repository using the following command. Run the following command to install the additional server software. The above command will install FFMPEG, LibreOffice, pdftotext, Inkscape and Wkhtmltoimage / Wkhtmltopdf. As we have all the dependencies ready, we can now download the install package from Pimcore website. Pimcore provides three different types of installation archive. 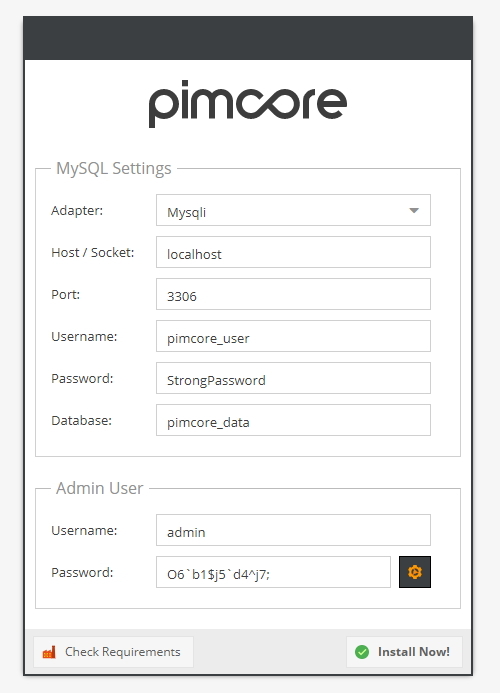 If you want to install Pimcore along with demo data which is suitable for beginners, you can use the following link to download Pimcore. If you want to install the Pimcore core package only, then you can use the following link to download. The third option is to install nightly build, which is for development purpose only. The above command will always download the latest version of Pimcore. Extract the archive using the following command. If you do not have unzip installed, you can run yum -y install unzip. To temporary disable SELinux without restarting the server, run the following command. 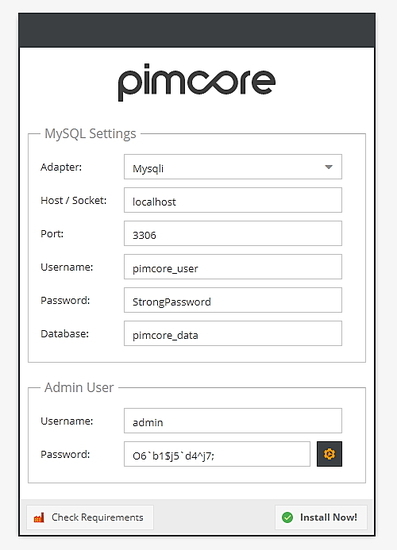 Now create a virtual host or server block for the Pimcore application. Run the following command for same. Replace cms.yourdomain.com with any domain or subdomain you want to use to access the application. Save the file and exit from the editor. Run the following command to restart your Nginx server. Now complete the installation using a web browser, go to the following link. You will be welcomed by the following page. Choose mysqli as database adapter, provide the details of the database and new admin user. Click on Install Now! button once done. The installation will just take few seconds to complete. 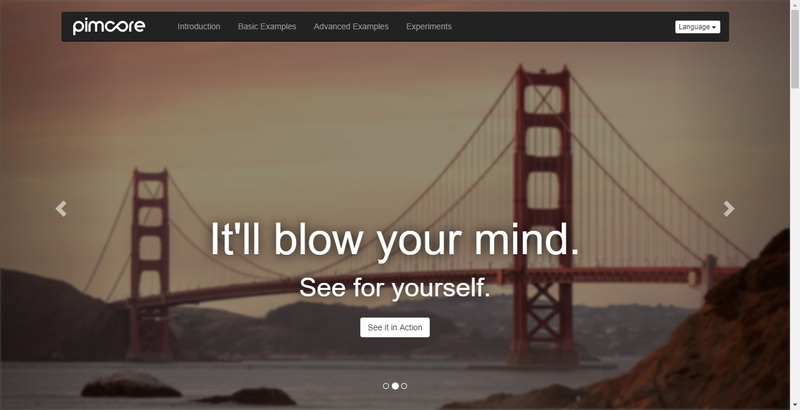 Installation of Pimcore is now finished, you can use the Pimcore to easily create a beautiful website for personal or commercial purpose. thanks a lot for your how to guide, i think all it's working but i have a problem to access on admin page. When I try the login with my admin credential PimCore doesn't says anything but refresh the page and return on blank login.I have tried to insert wrong credentials and it correctly inform that the credentials are invalid.